Use this mortgage calculator to generate the monthly payment for a mortgage. 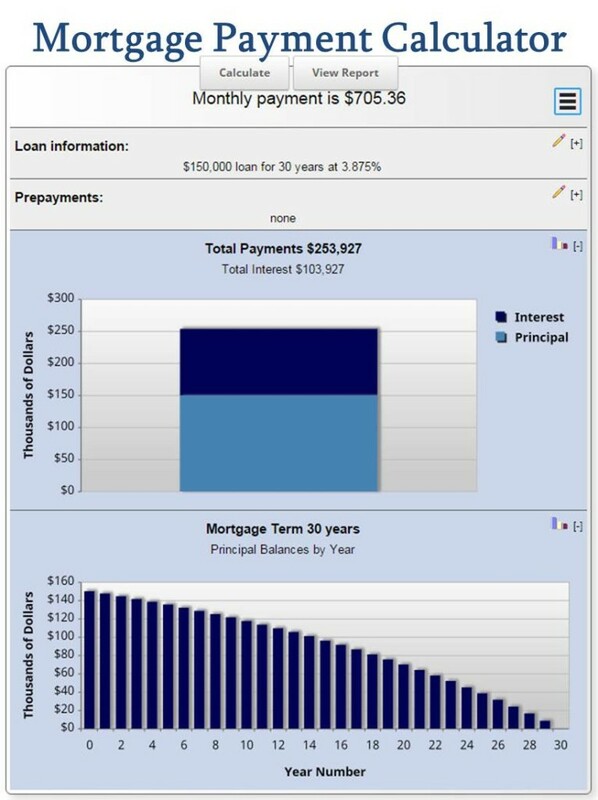 Quickly calculate your interest and principal balances with this Mortgage Payment Calculator, even includes an amortization table. You can also utilize the extra mortgage payment calculator feature! Press the "Report" button to see the full yearly, or monthly loan amortization schedule. Feel free to use Today's Mortgage Rates in the mortgage payment calculator. Information and interactive calculators are made available to you as self-help tools for your independent use and are not intended to provide investment advice. We cannot and do not guarantee their applicability or accuracy in regards to your individual circumstances. All examples are hypothetical and are for illustrative purposes. We encourage you to seek personalized advice from qualified professionals regarding all personal finance scenarios.